Trip to Estonia is looming ahead. 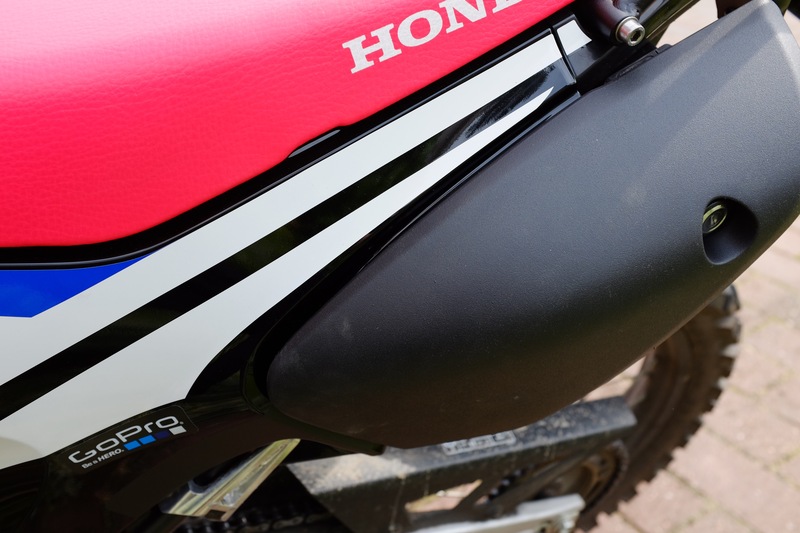 I need to strap the Giant Loop bags on the bike which means that the rear plastics would get scratched to s**t. On a bike like this, that should not really matter, but I decided to try to protect them anyway. At first I tried using clear rubber paint (not PlastiDip brand) which produced horrible results. Then I tried applying vinyl wrapping, but the awkward shape (and my lack of skill) of the rear plastics again lead to ugly results. As my final attempt, I changed the paint brand to Maston and the paint color to matte black. Success! I applied several coats, but it remains to be seen if it will actually hold up under the bags. In retrospect this was a bit of a futile exercise. Scratches will be inevitable so why bother and the rubber paint wont protect the plastics against rocks etc. anyway. Also the rubber paint when removed, matted the tool box cover plastic. Once you have finished protecting the panels, by applying coats of paint, is it possible to remove the paint again without damaging the underlying plastic (as would be the case with vinyl sheets)? If it is not possible to get the paint off without damaging the underlying plastic, how does the paint protect them? So, you’ve done the Estonia trip: how did the panels stand up to the luggage? Scuffed? I ended up just strapping a smaller bag on the rack so the panels didn’t get scuffed at all. Hi former 690 enduro r owner!  I’m about to pull the trigger on a 2017 690 enduro but before ibdonthat, I’d like to hear your thoughts about how the Honda and the ktm compare in terms of your experience with them. I was also considering a Honda, hence the question. Hard to describe in short. 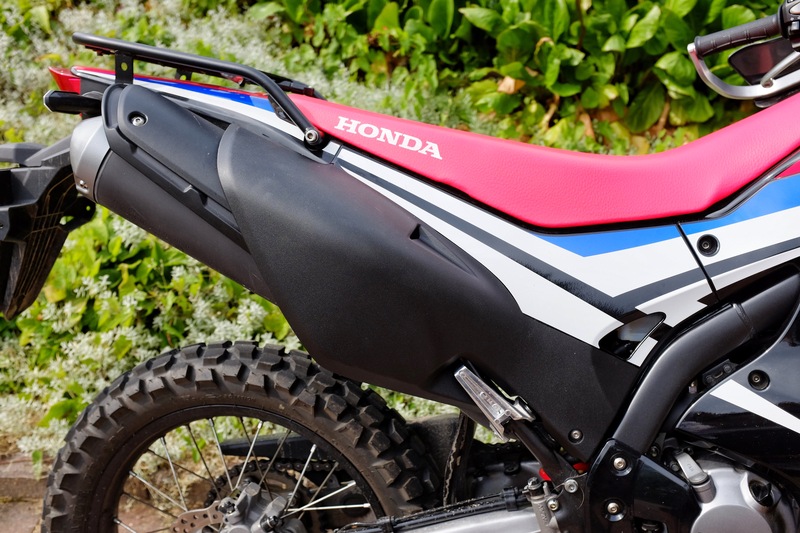 The Honda is a friendlier laid back version of the 690. Specs wise it loses in everything, but it has a likeable character and is cabable of much more than the specs would suggest. Ended up buying the 690, Honda does not have as much coverage in my current city -Bogota, Colombia- and decided to give the 690 a chance. 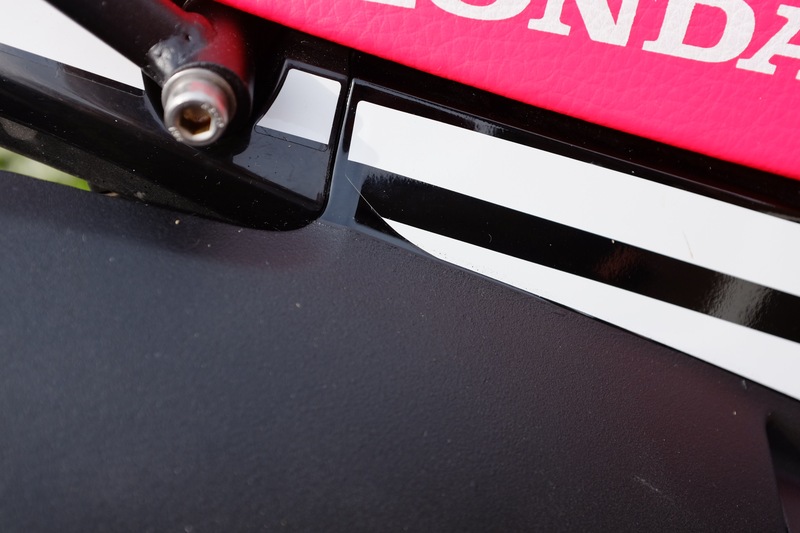 I’ll keep reading your blog posts about the Honda though, they’re quite interesting. Cheers, fellow rider! 690 is an awesome bike. Congrats!